Dirteeze Wet Wipes use unique substrates blended with clever lotions, all products presented in easy to use packaging. Dirteeze Non-Woven Wipes are made from an innovative fibre composition for optimum wiping performance and offer product solutions for rag replacements to technical process wiping. 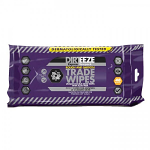 Dirteeze Industrial Trade Wipes are made from spunlace, a more biodegradable alternative to the more common polypropylene wipes, with significant advantages on wiping performance in terms of absorbency and cleaning power. 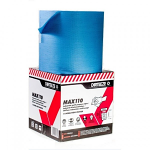 Typically, many of our competitors will show you a demonstration of their ‘polypropylene’ wipes removing paint and sealant. What they don’t tell you is just about any wipe would remove freshly applied paint and sealant! Many competitor products, especially those using polypropylene material, leave your hands feeling sticky. 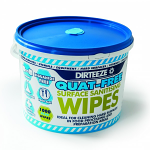 Dirteeze wipes leave your hands feeling not only cleansed, but soft and moisturised too.